If you have been overpaid by Centrelink, you could find yourself facing an investigation and possibly criminal charges for fraud. The exact nature of the charges and the likely penalty will depend on the circumstances and the amount of money in question. 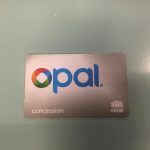 Unlike many criminal offences which are prosecuted by the police or the state DPP, Centrelink offences are generally prosecuted by the Commonwealth Director of Public Prosecutions (CDPP). Under what circumstances will Centrelink prosecute? The most common Centrelink prosecutions occur if you have intentionally given Centrelink false information about your income, assets or living situation, or you have not provided Centrelink with the information that has been requested. Whether or not to prosecute you will depend on what the CDPP decides. If it is evident that there was a deliberate intention to mislead and obtain a financial advantage, there is more chance that the CDPP will prosecute than if the overpayment was due to an oversight or misunderstanding. Just because you have a debt or overpayment with Centrelink it doesn’t necessarily mean you will be prosecuted. 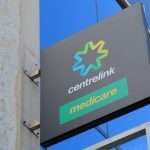 Centrelink will take steps to recover the money owed, and unless they have reason to believe that the debt is a result of your deliberately withholding information or providing false information, they may not take the matter any further. The CDPP is more likely to prosecute in situations where the amount outstanding is significant or there is a clear indication that you deliberately set out to mislead them and claim benefits you weren’t entitled to. Even if you have repaid the debt, the CDPP can still decide to prosecute if it believes that it is in the best interests of the public to do so, and there is a good chance of conviction. How do they tell whether it was deliberate or a mistake? If Centrelink has reason to believe that an overpayment was a result of an attempt to deceive, it will undertake an investigation. Centrelink investigations can be lengthy and to find out the right information, investigators may gather evidence from your employer, the tax office, your bank and other people that you know. During the investigation process you will usually be given the opportunity to participate in a recorded interview where you can provide your side of the story. It’s important to seek legal advice from a criminal lawyer who is experienced in Centrelink cases before you agree to a taped interview as anything you say during this interview could be used to bring charges against you at a later date. 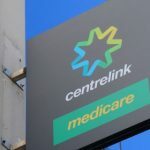 Once Centrelink has gathered all the necessary information, it will be forwarded to the CDPP, which will then make a decision whether or not to prosecute. 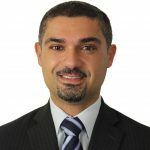 The decision to prosecute depends on the strength of the evidence against the accused and whether or not it is considered to be in the public interest to take further action. If you are unsure what information Centrelink has on file about your debt, you can make a request to see your file. This can be done under the Freedom of Information Act by filling out a specific form. What should I do if I receive a Court Attendance Notice? If the CDPP decides to prosecute, you will receive a Court Attendance Notice. This specifies a time and date that you will need to attend court. It’s important that you attend on the nominated day and time, or you could face further criminal charges and/or the matter could be decided in your absence. The charges laid against you will be specified in the Court Attendance Notice. It’s essential that you seek the advice of an experienced criminal lawyer as soon as possible after receiving the notice. Your lawyer can help you gather and present evidence to support your case. They can work to get the charges dropped if there is not enough evidence against you. If you wish to plead guilty, they can help you to avoid a conviction and/or a harsh penalty.